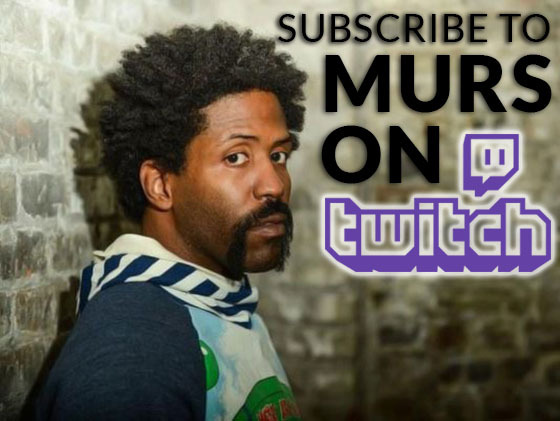 MURS To Launch Channel On Twitch This Monday (Jan 25)! Ever want to kick it with your favorite rapper, play video games and talk smack? Thanks to MURS and his new channel on Twitch, now you can! MURS is happy to announce he will be launching his new channel on Twitch this upcoming Monday, January 25, 2016! Now you can hang out with MURS while he games every Monday through Thursday, 9PM-12AM EST. People who want to just hang out can do so for free, but subscribers get special perks: new subscribers will get an autographed MURS album, entry into contests, and much more. What do you think of Twitch?